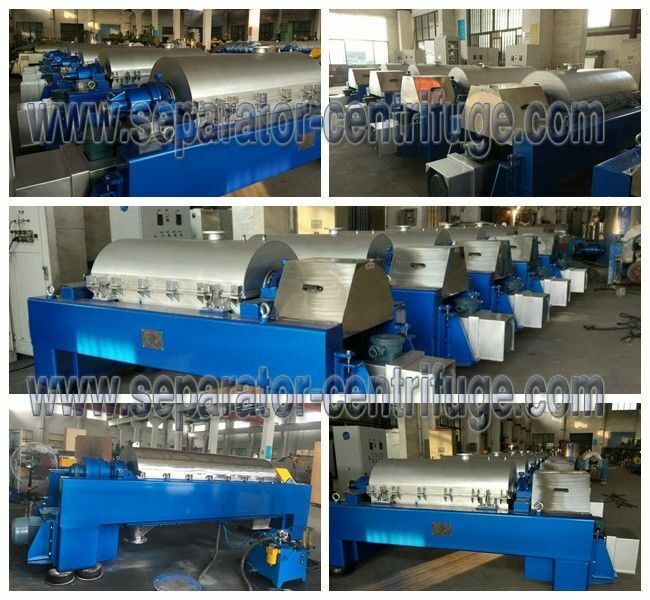 The main equipment of sludge dewatering complete system is decanter. 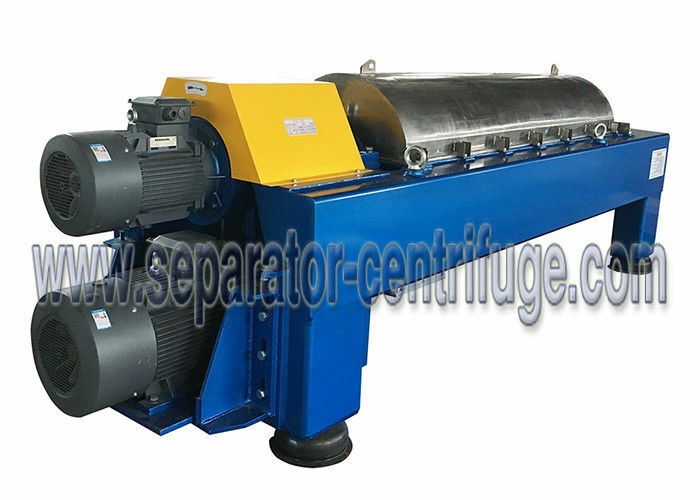 Decanter is the machine of separating suspending liquid on centrifugal sedimentation. 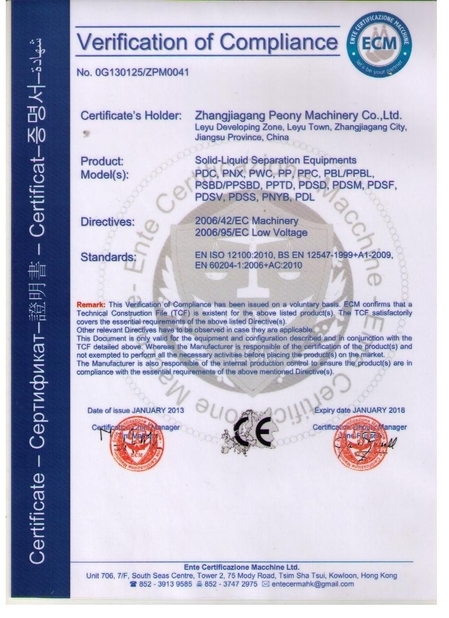 With the centrifuge, it is possible to separate the particle from suspending liquid, whose equivalent diameter is bigger than 0.003mm,solid-liquid weight ratio isles than 10%, volume ratio is less than 70%, difference in specific gravity is bigger than 0.059/cm3. High dryness decanter can use limit space to fit together different stages of separation. Sludge and chemical mixes in the specially designed feed chamber and accelerates together. This prepares the sludge for best separation. The flocculants sediments inside the bowl under centrifugal force, the clear liquid flows out of the weir an the end of the bowl. Conveyor pushes the solid toward the discharge end. The sludge is further pressed by centrifugal force and the water comes out of the small holes of the sludge. In the conical part of the bowl wall, the sludge is pressed by specially designed double direction pressing effect. The specially designed conveyor produces axial pressing force and water comes out of the tiny holes of the sludge. In order to achieve best dewatering effect when flow rate or character of sludge changes, the solid content inside the bowl should be continuously controlled. This is controlled by the drive system of the conveyor. The drive system of the conveyor can measure real-time the solid content inside the bowl and adjust automatically, solid discharge torque automatically compensated. 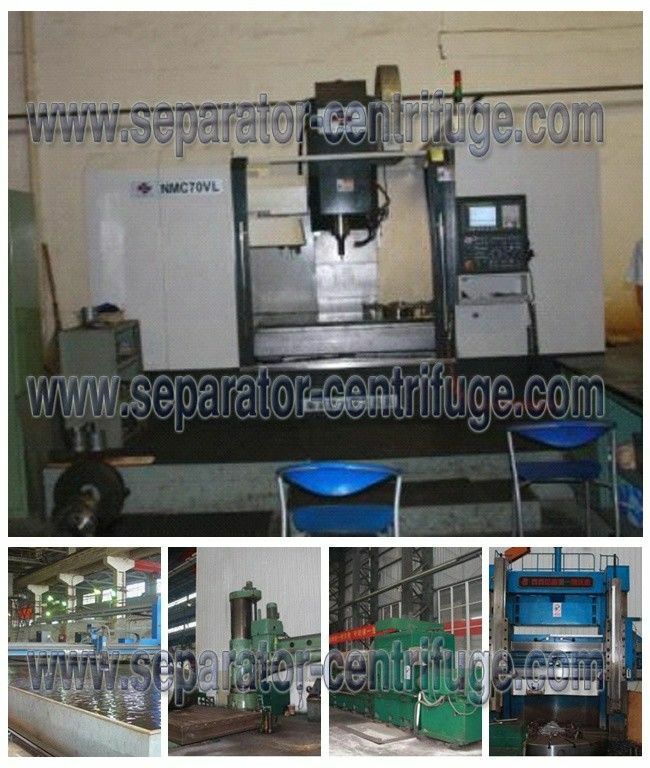 The reliable and excellent operation needs good cooperation of bowl drive and conveyor drive. Shanghai Centrifuge Institute researches good drive combination, which can be recommended as best design to suit different applications.